The groom rocks some crazy dance moves at this Ballroom at the Ben wedding in July. 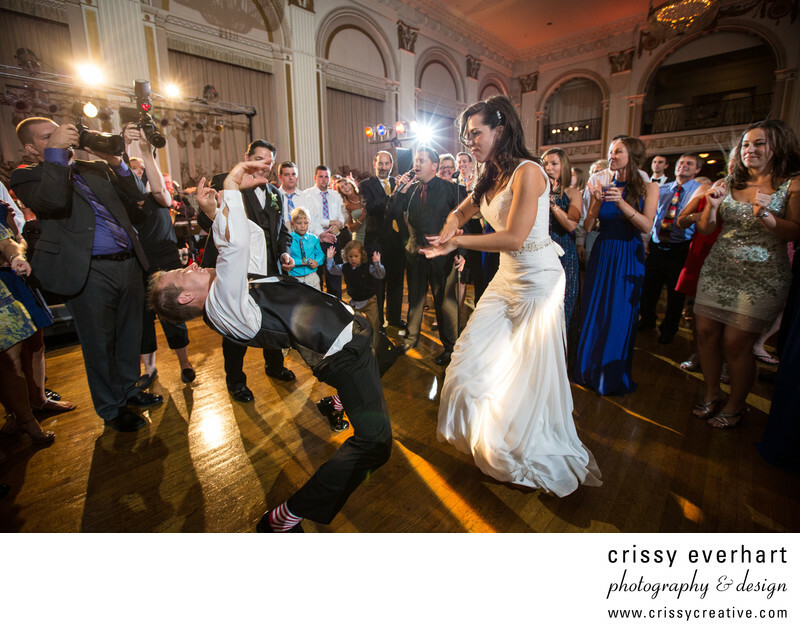 The groom arches his back and does half a back bend, the bride dances in front of him and the guests go wild. Masquerade, the band, kept everyone partying all night long, there was never a dull moment!